A most engaging image of silvers and romantic reds balanced by dramatic touches of blues and purples. Yet it also almost sparkles with that stunning central crystalline area. 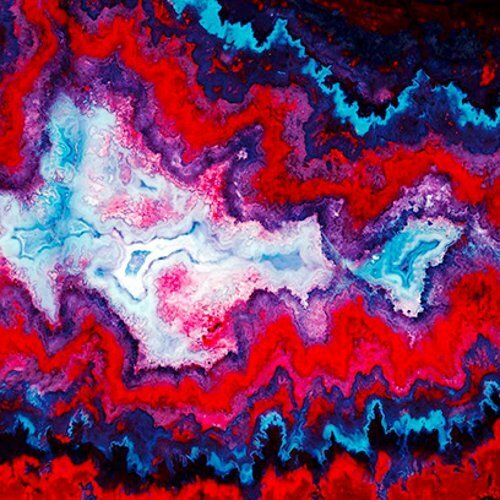 It features an image of Agate, a silica-based mineral formed in voids in volcanic rocks, and has been recently stocked by Liberty. It is 138 x 138 cms satin silk, sourced in China, and digitally printed near Lake Como, northern Italy.